New Delhi/Patna : The party workers of Congress held a protest march here today against the Land Acquisition Bill. 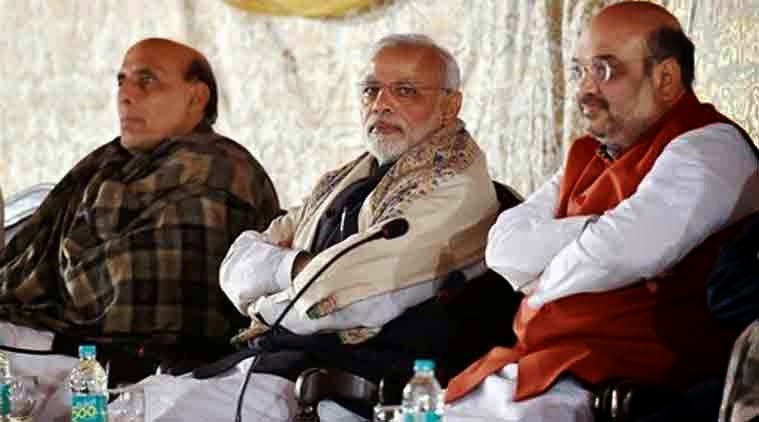 While on other hand, top leaders of Bhartiya Janta Party (BJP) on met Prime Minister Narendra Modi and is reported to have discussed the Land Acquisition Ordinance that expires on 5 April. The protestors were seen carrying banners denouncing Prime Minister Narendra Modi-led government at the Centre. They were also shouting slogans supporting Congress vice-president Rahul Gandhi. Bihar Pradesh Mahila Congress president Amita Bhushan said that the protest was peaceful and had not violated any rules. "We are with the people. Any movement requires participation of the people and we are behind them. We are protesting peacefully and have not violated any rules," she said. According to people familiar with the matter, BJP President Amit Shah and Union ministers Rajnath Singh, Sushma Swaraj, Arun Jaitley and Nitin Gadkari met the Prime Minister at his Race Course Road residence late this evening and are learnt to have discussed ways and means of finding a solution to the land issue. Earlier this month, the Lok Sabha passed The Right to Fair Compensation and Transparency in Land Acquisition, Rehabilitation and Resettlement (Amendment) Bill, 2015 amid a walkout by the opposition parties even as the government moved nine amendments to address the concerns raised by farmers.